The Lot: In Words by Michael Leunig. Heralds of God by James S. Stewart. When I Was in Hospital You Visited Me by Simon Wilson. Essays Philosophical and Theological by Rudolf Bultmann. The Fiddles of God by Rutherford Waddell. Ministry to Outpatients: A New Challenge in Pastoral Care by Herbert Anderson et al. Pastoral care in the Modern Hospital by Heije Faber. Death and Life by Helmut Thielicke. On the Theology of Death by Karl Rahner. Theological Investigations, Vol. XIII: Theology, Anthropology, Christology by Karl Rahner. The Death of Ivan Ilyich by Leo Tolstoy. Being and Time by Martin Heidegger. The Power to Comprehend with All the Saints: The Formation and Practice of a Pastor-Theologian edited by Wallace M. Alston Jr. and Cynthia A. Jarvis. Theology, Death, & Dying by Ray S. Anderson. Mighty Stories, Dangerous Rituals: Weaving Together the Human and the Divine by Herbert Anderson and Edward Foley. Introverts in the Church: Finding Our Place in an Extroverted Culture by Adam S. McHugh. The End of the World and the Ends of God: Science and Theology on Eschatology edited by John Polkinghorne and Michael Welker. Death, the Riddle and the Mystery by Eberhard Jüngel. Being in Ministry: Honestly, Openly, and Deeply by Douglas Purnell. 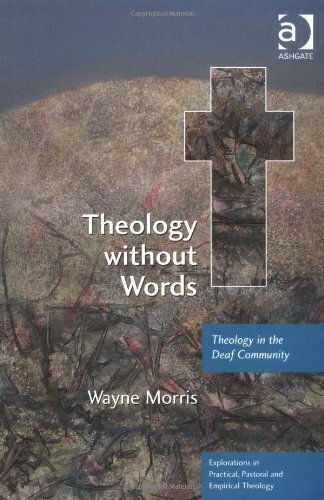 Theology without Words: Theology in the Deaf Community by Wayne Morris. Eternal Life? : Life After Death as a Medical, Philosophical, and Theological Problem by Hans Küng. Life Together and Prayerbook of the Bible (Dietrich Bonhoeffer Works, Vol. 5) by Dietrich Bonhoeffer. Accompany Them with Singing: The Christian Funeral by Thomas Long. On Thinking the Human by Robert Jenson. Instead of Death: New and Expanded Edition by William Stringfellow. Gurrumul and Rrakala by Gurrumul. New Map of the World and One by Paul Colman Trio. Live In London by Leonard Cohen. Beethoven: Symphonies Nos. 5 & 7 – Herbert von Karajan and the Berlin Philharmonic Orchestra. Alison Krauss & Union Station – Live by Alison Krauss & Union Station. I’ve been listening to Pete Murray (BlueSkyBlue) and k d lang (Sing it Loud) this month. Mike Leigh’s..”Another Year” is a film I will see soon (seen all his others). He is the only director I know that ‘shoots’ whithout a script. He works the story and the actors ‘ad-lib’ their own lines…interesting. This is what makes his films seem a bit odd and can feel stilted. Will you be posting any on Jungel’s book on death? Currently reading it as well. @Tyler: I don’t plan to (largely because I’m running a very busy schedule atm) but would be happy to read your thoughts. @pierogi: Let me know what you think. I thought ‘Another Year’ was great. BTW: have you seen ‘Gloomy Sunday’? Can’t get “Gloomy Sunday” through my Video rental. But if it’s spoken in Hungarian (the most gutteral and ugly language) it’s a bit of a hurdle to climb….but the Hungarians make delicious picked gerkins. @ pierogi: it’s set in Budapest, but the film in almost all in German. Boodapesht is nice and Jerman speak is serious. I rate the French, German and Scandinavian ( not the Fins..of course) as wonderful story-tellers. Ingmar Bergman’s filmwork is brilliant. Steig Larsson’s trilogy is a good fiction read.